Please join us this Saturday night at Creative Growth in Oakland for a screening of Cheryl Dunn’s much anticipated new film on NYC Street Photography - Everybody Street. Cheryl will also be signing copies of her new book Festivals are Good. 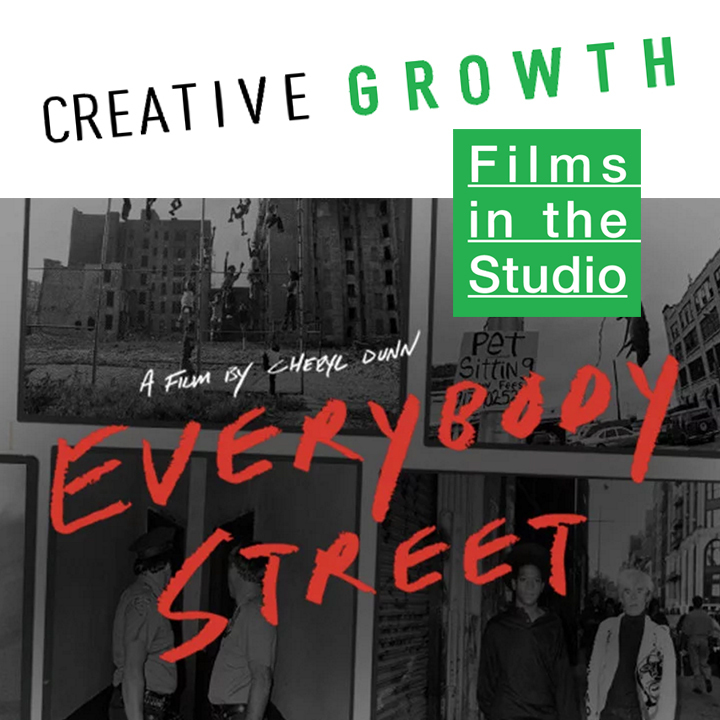 Join us at home in the Creative Growth Studio, Saturday, February 6th at 6:30pm for a screening of Everybody Street a film by longtime Creative Growth collaborator, Cheryl Dunn (Q&A with Dunn following the screening). Also on view: short films made by the Creative Growth Video Production Workshop. Drinks and movie snacks will be available for purchase. $12 suggested donation at the door or online here. Bruce Davidson, Elliott Erwitt, Jill Freedman, Bruce Gilden, Joel Meyerowitz, Rebecca Lepkoff, Mary Ellen Mark, Jeff Mermelstein, Clayton Patterson, Ricky Powell, Jamel Shabazz, Martha Cooper, and Boogie, with historians Max Kozloff and Luc Sante.